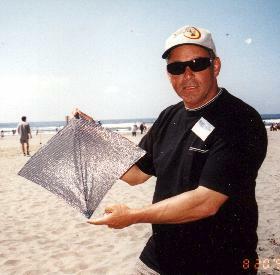 Aerostar Sportkites - Stryke fighter by Paul Shirey. Please visit the following sections on Kite Makers and the Fighter Spotlight. The CyberFighter Website is Compiled and Maintained by Gina Hsiung. All photos are copyrighted and all rights are reserved. Republication of any images with written consent only.